To rescue abandoned or orphaned children and provide them with a safe home to live grow and thrive. To provide shelter, food, clothing, education, medical attention, personal care,skill training, work opportunities, and other life-changing necessities to children in desperate situations. We strive to break the cycle of poverty and help elevate the lives of the children to become positive, productive and self-actualized members and leaders of their society, with opportunities and hope for their future. 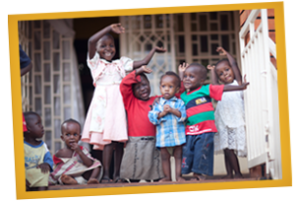 To establish a home where the children can reside and obtain all the necessities needed to live well and to thrive! High standards of education and skill training will be provided to the children, in order to help them acquire the necessary tools to become productive and self-sufficient members of their community. The home will ultimately be self-sustaining, and will not permanently rely on donations, as it will be linked to several income-generating businesses that will cover the expenses needed to run the home and care for the children. Live it up Uganda Constitution.